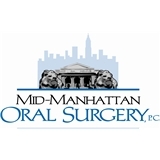 Mid-Manhattan Oral Surgery (New York) - Book Appointment Online! The satisfaction and well-being of our patients is the cornerstone of our practice. At Mid-Manhattan Oral Surgery our first concern is YOU! State-of-the-art medical technology, adherence to optimum safety standards and a commitment to patient care ensure the highest level of specialty care available.